Why do Entrepreneurs Risk Failure to go into Business? Why do Entrepreneurs Risk Failure to go into Business Online without Accepting Cards? In this day and age, why do entrepreneurs risk failure to go into business online without giving customers easy payment options? The recession, the stock market instability, and social, financial discontent are reaching boiling point. On top of all that, banks are not offering credit as they were during the housing bubble and businesses are struggling more than ever to hire employees. Customers are buying more items online and at an increasing rate. Additionally, online business merchants foolishly try to limit payment options to avoid fees. The problem is by limiting payment options, it also limits the amount of customers that can do business with your company. It is harder to collect data for customers who do not complete transactions because they are unable to pay with their preferred credit card. It really is a struggle. Customers want the choice to pay for goods and services using a credit card with the lowest interest rate. People really care about their credit score. Unfortunately, a lot of online merchants won’t accept certain credit cards that offer this benefit to their customers. This results in a customer who is wanting to purchase goods and services, but the merchant is stopping them from doing so. What is Business Failure Risk for Online Merchants? A business failure risk is a calculation that uses factors like credit scores, the length of time in business and social standing to determine if your business is going to survive in the future. Small businesses that use online merchant accounts to accept payments benefit from the 24-hour marketplace. No matter the business type, sound management practices include performing risk assessments on each area of your business on a monthly basis. By having a “risk assessment portfolio” created as soon as possible for your business, you have an advantage knowing when and where problems could arise. Businesses that are proactive rather than reactive save time, money, stress and sustain or increase momentum. By learning the key elements of risk assessment, your company will have an advantage over those who do not. Why do entrepreneurs risk failure going into business when eliminating risks (like having an online merchant gateway provider) is just a matter of standard operating procedures? Before going into business, it is a good idea to learn how other small businesses in your sector failed. Small businesses that do not take the time to assess their internal and external risks can go under quickly. One of the most important aspects of doing business (especially online) is to provide customers with options to pay you. The more ways a customer has to pay, the risk of your business failing decreases significantly. Businesses that open a high-risk merchant account to accept credit cards online find that they can attract a larger market share of customers and quicker than businesses who just accept cash and money orders. In fact, more customers are becoming wary of businesses who ask for money orders due to the sheer number of money order scams. It cannot be understated enough – being able to accept credit cards online is a safer option for your customers (meaning PCI Compliant) and will help your company to grow. Why do entrepreneurs risk failure to go into business when there is no need to fail? To perform a proper risk assessment, take note of the strategies that caused other businesses to fail in your sector. Additionally, consider the changeable external risks (like increases in insurance premiums, new laws in Congress being voted on and issues that need emergency readiness). If your business notes these risks, then makes a plan to overcome them, your business is going to develop unlike others in your business sector. After you have taken the first step in identifying risks to your business, it is a good time to bring in a risk assessment analyst to ensure you have covered all possibilities. Banks have risk assessment analysts determine your credit worthiness to protect themselves. High Risk Solutions found that many businesses need to set up a high-risk merchant account to accept credit cards when the regular banks deny them access to payment gateways. Why do entrepreneurs risk failure going into business when there are risk assessment professionals available to assist them? A risk assessment analyst will assist your company in figuring out the correct prediction tools to utilize. A common risk assessment and prediction tool is used to calculate the risk of an individual having cancer and the likelihood it will spread through the body. Considering that external risk factors can be just like spreading cancer, it is important to be able to predict where certain risk trends are leading. By using these prediction tools as part of your business risk assessment, you are better prepared to know what to expect in the future. Alternatively, businesses that do not use this strategy often have to endure unexpected expenses or events. Why do entrepreneurs risk failure to go into business when there are ways to plan for expenses? When it comes to unexpected expenses, High Risk Solutions has you covered. 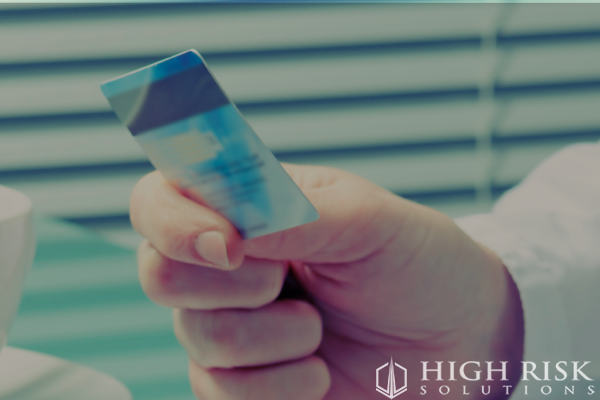 To make sure your business can accept credit cards payments at any time and from anywhere, High Risk Solutions maintains their risk assessment practices to keep your business running efficiently. Risk can be broken into three categories: high, medium and low. As an online merchant who sells good and services, there is a real risk of international currency fluctuation. For example, online retailers were surprised by the Shanghai Stock Market crash of 2015 crash. The value of the best performing shares dropped by 1/3. Immediately, Asian currency exchanges shifted to meet the new demands of capital infusion. What this meant for online retailers is they had to honor the price at the original transaction time even through the currency was worth less at the time of payment. Internet businesses that had a stable merchant account partner (like High Risk Solutions) were able to recover faster than those that chose to use money order payments instead. Dynamic means changing often. Your risk assessments should change often, too. Something that online merchants tend to forget is that an online business is not a “set it and forget it” undertaking. It is vital to perform monthly checkups on your business operations and evaluate potential risks. For example, if your online business sold 12-month subscriptions with a guaranteed satisfaction agreement, the customer pays for a year in advance, exposing the merchant to the risk of customer dissatisfaction at any time within the period. Numerous chargebacks may cause higher merchant account rates and a decrease in customer loyalty. However, a less risky approach is to charge monthly (in advance) for your products or services. Why do entrepreneurs risk failure to go into business when they can just change their assessment rigidness? Changing your risk assessment to meet the wishes of your customer by providing quality products and services that are guaranteed is highly recommended. From these items, you can generate questions about the various parts of your website. Does your sales copy make claims contradictory to the actual product or service? Is each description of the goods and services you offer accurate? How many days does it take from a customer transaction to receipt of goods or services? If there is a physical product, how will it be shipped to the customer? If the customer wants to return a product or dispute a service, how is it that handled? Is the preferred method of contact displayed where customers can use it? Does your company email include customer tagging to mark merchant account queries? What kind of password protection are your offering to customers? How does your company plan to use customer data? By not Accepting Credit Cards, Why do Entrepreneurs Risk Failure to go into Business? It seems like the worst market to try starting a business in. However, new studies are coming out showing that small start-ups with less than 20 employees are achieving success like the Fortune 500 companies. This is being accomplished due to the Internet. Why do entrepreneurs risk failure going into business when they can accept credit cards online? On the Internet, smaller companies can take advantage of free advertising, make sales online (with a high-risk merchant account) and have lower overheads. For small businesses, it makes more sense than ever to enter the world of enterprise. It is acceptable to run the risk of a business failure because recovery is simpler with a small company than with a large one. Since traditional banks are not extending merchant account access to industries deemed to be “high-risk”, there is a market open for third-party merchant account providers – some are reputable (like High Risk Solutions), and some could be downright detrimental to your business. It is important to complete a dynamic risk assessment of your business operations to avoid jeopardizing the continuity of operations, or the integrity, confidentiality, and availability. Additionally, to predict difficulties, giving you an advantage over your competitors. 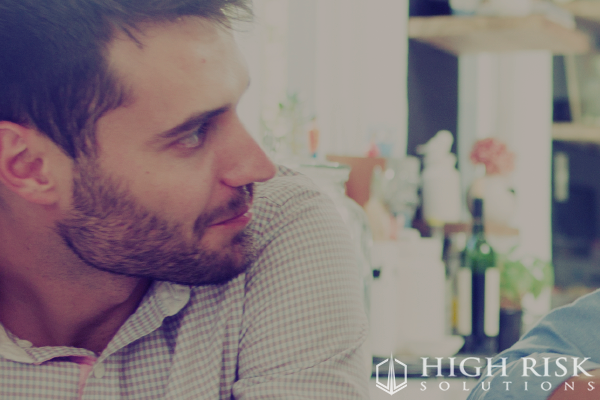 By partnering with High Risk Solutions as your merchant account gateway access provider, you will be able to meet all of these objectives and more. Start accepting credit cards for your high-risk merchant account now.